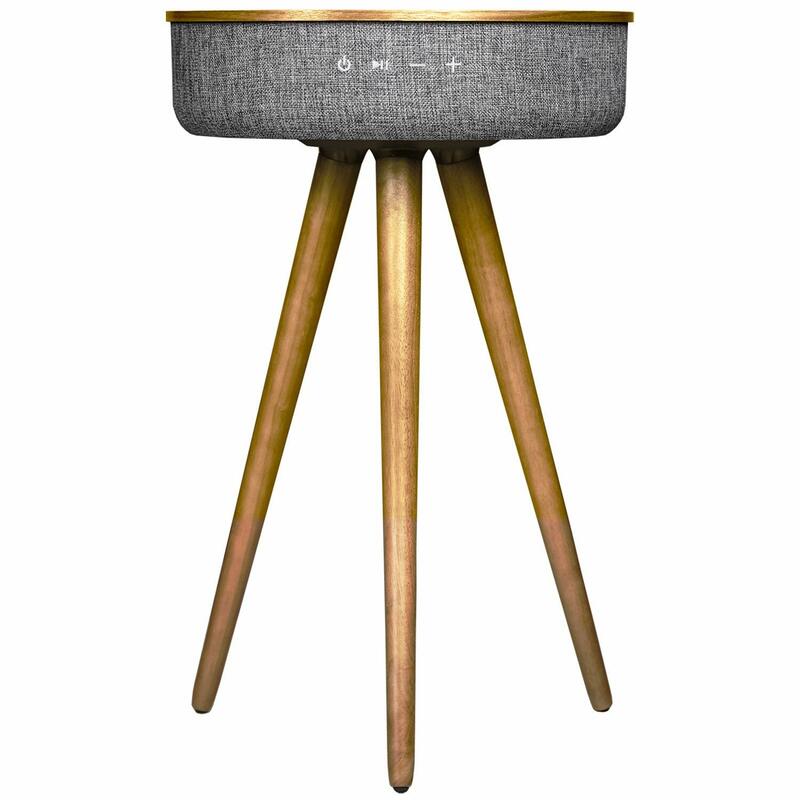 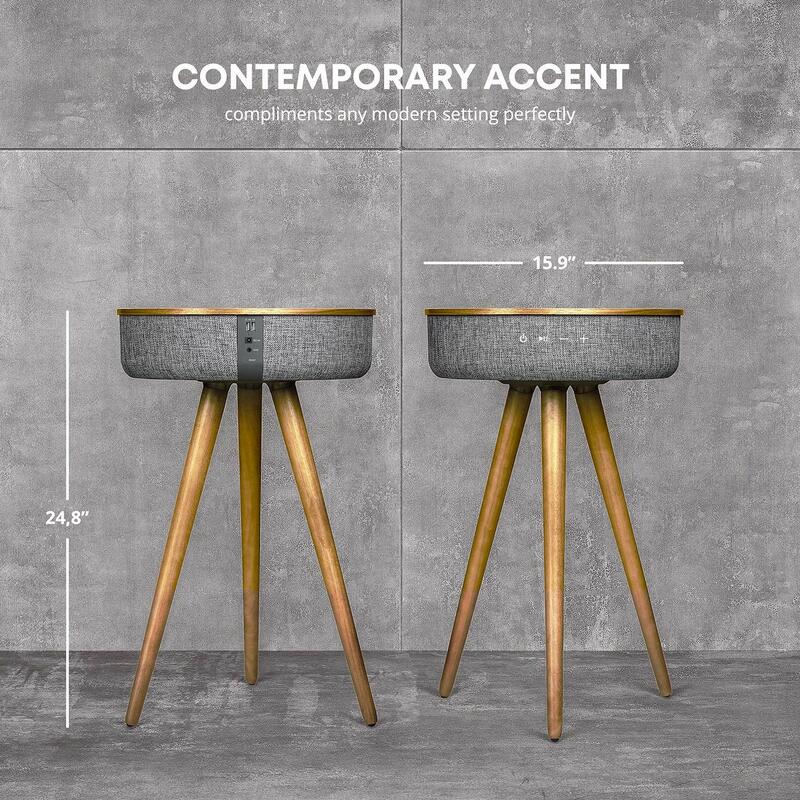 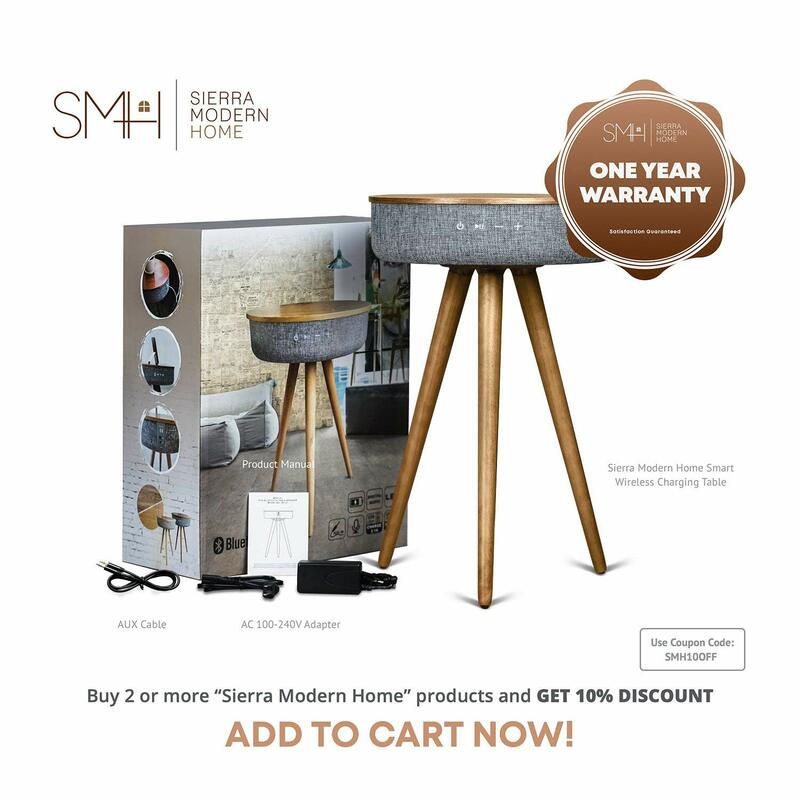 The Sierra Modern Home Studio Smart Table does more than your traditional table. 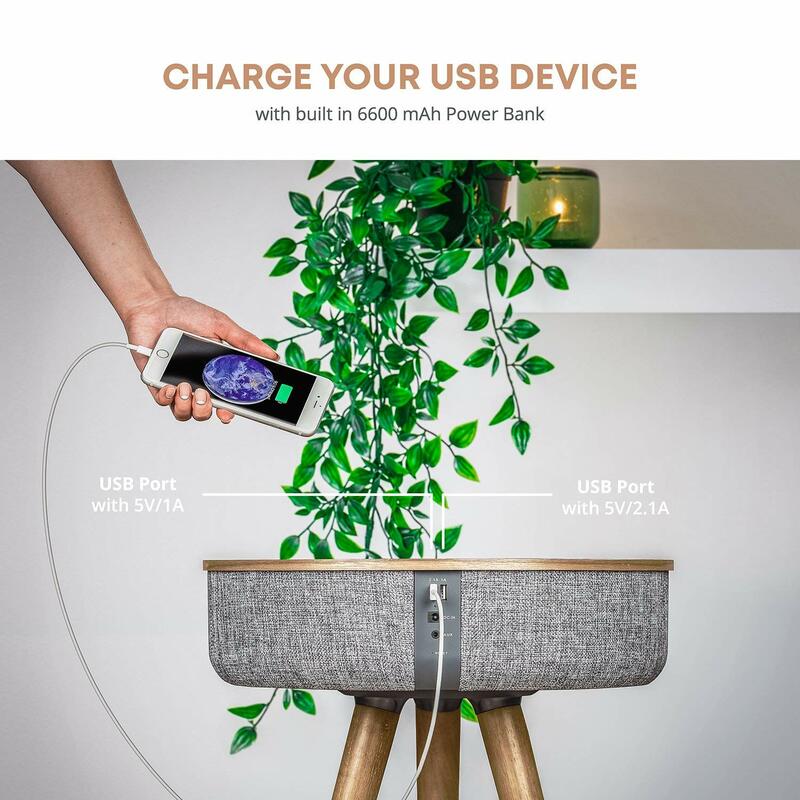 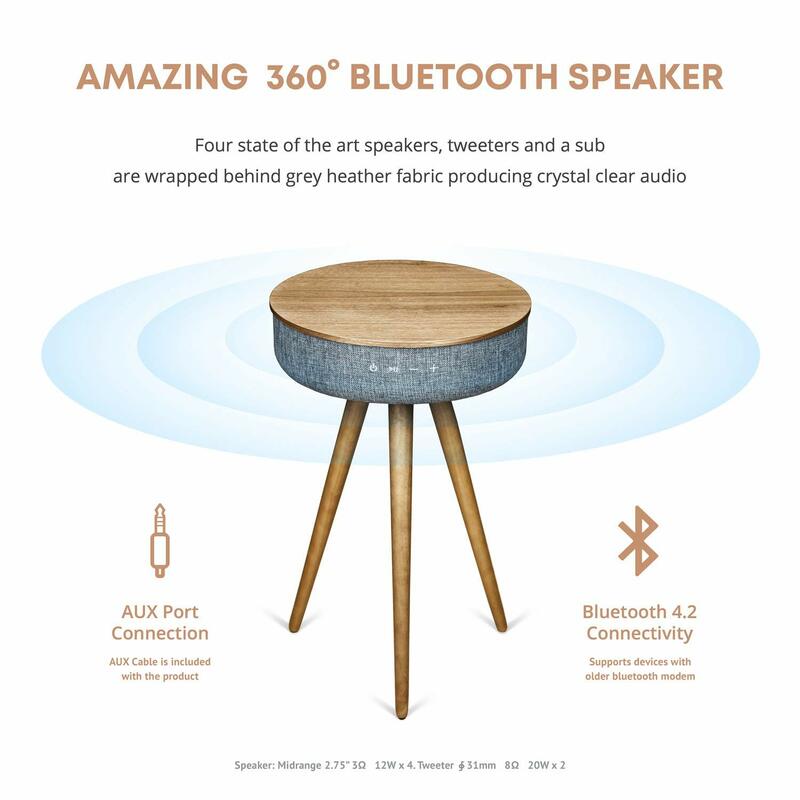 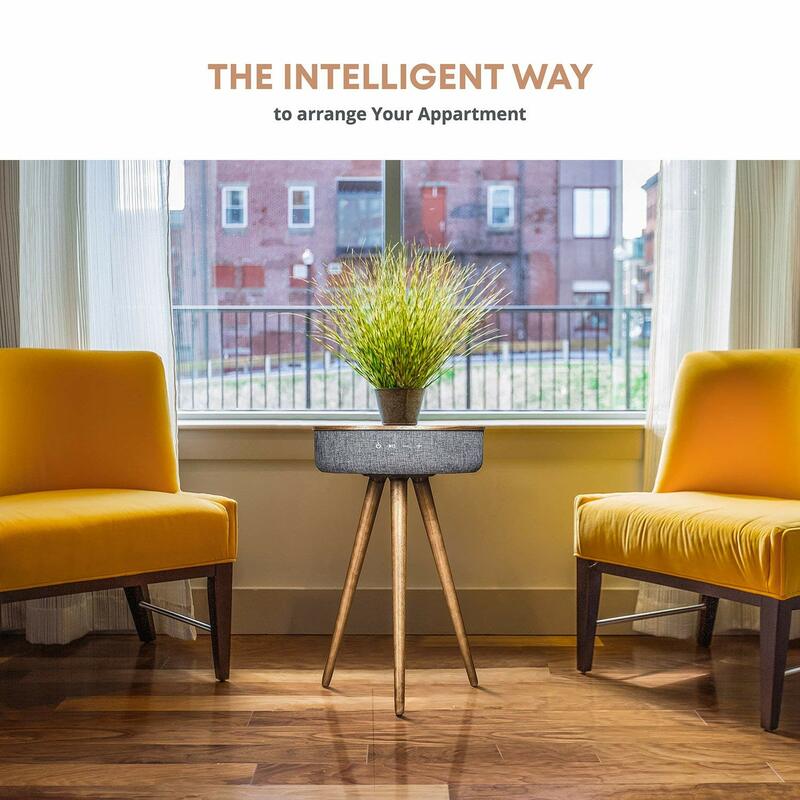 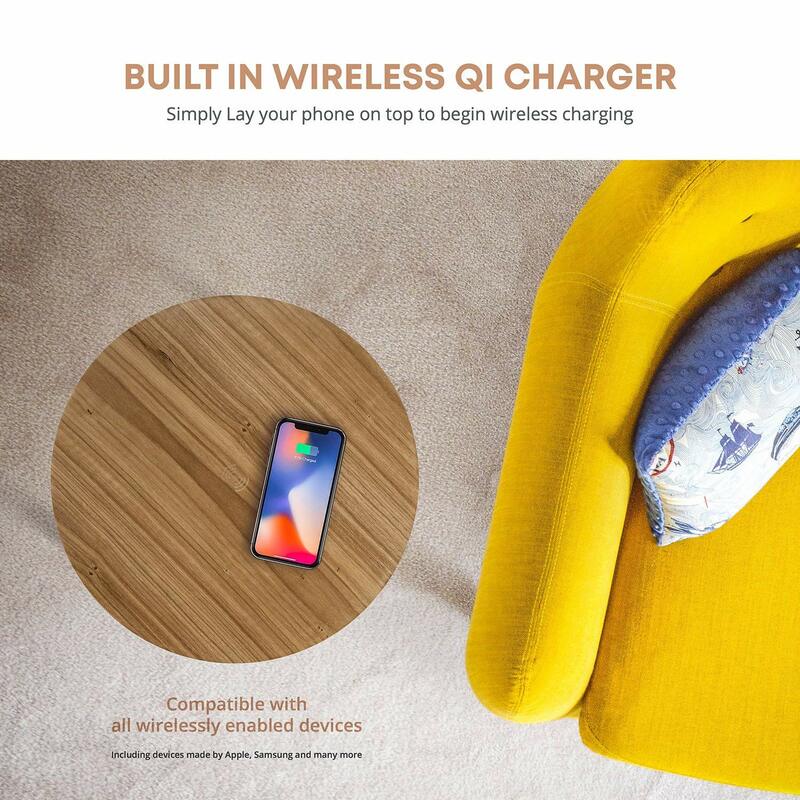 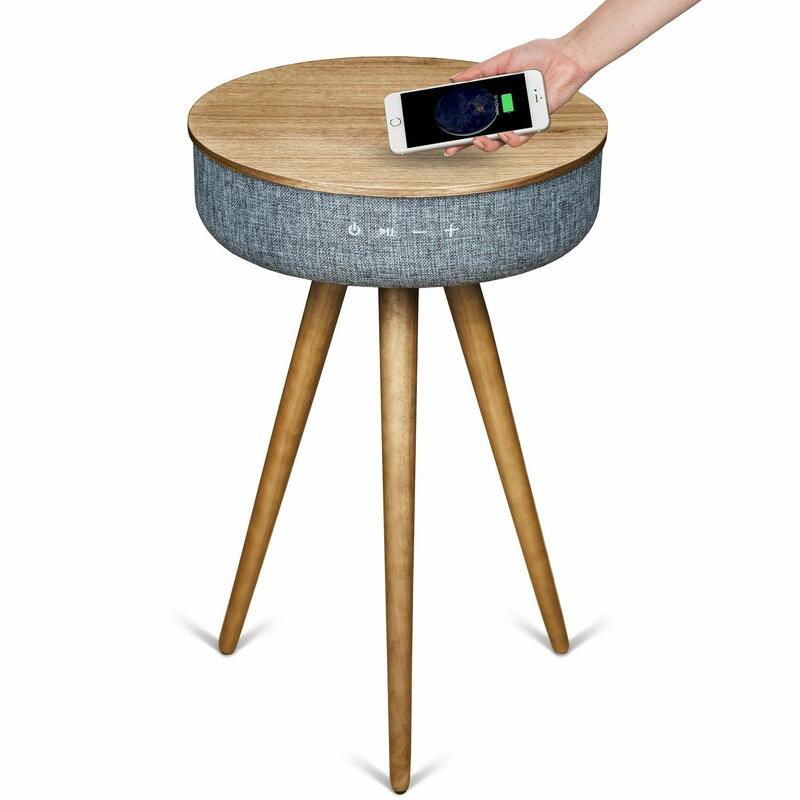 It has a built in 360-degree Bluetooth speaker system with tweeters and a subwoofer, Qi wireless charging, two USB ports, and auxiliary port, and a built-in 6600 mAh battery. 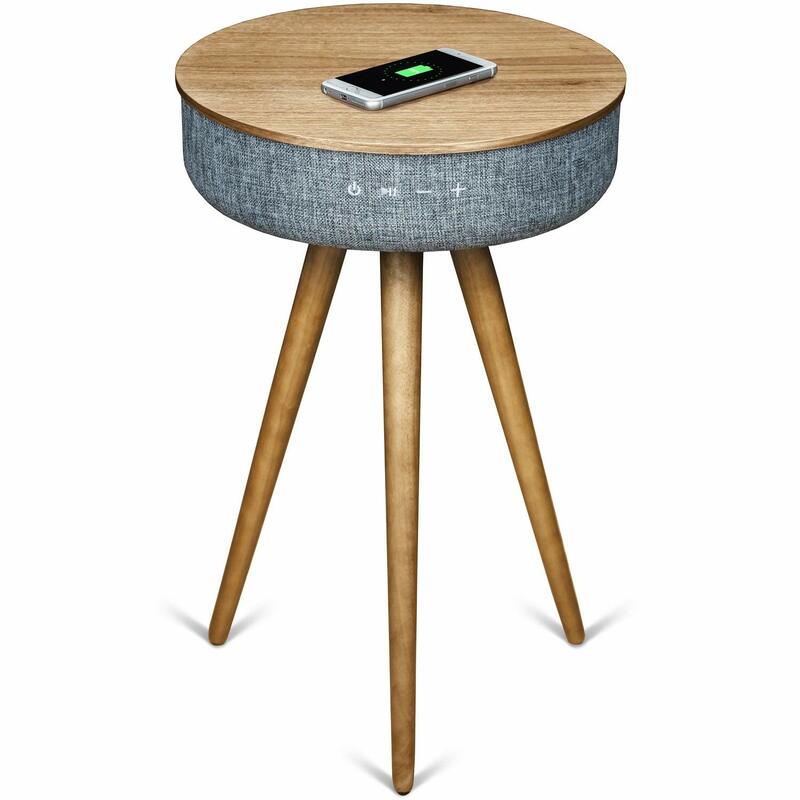 What a clean way to get tunes and phone charging in the mix without extra clutter.